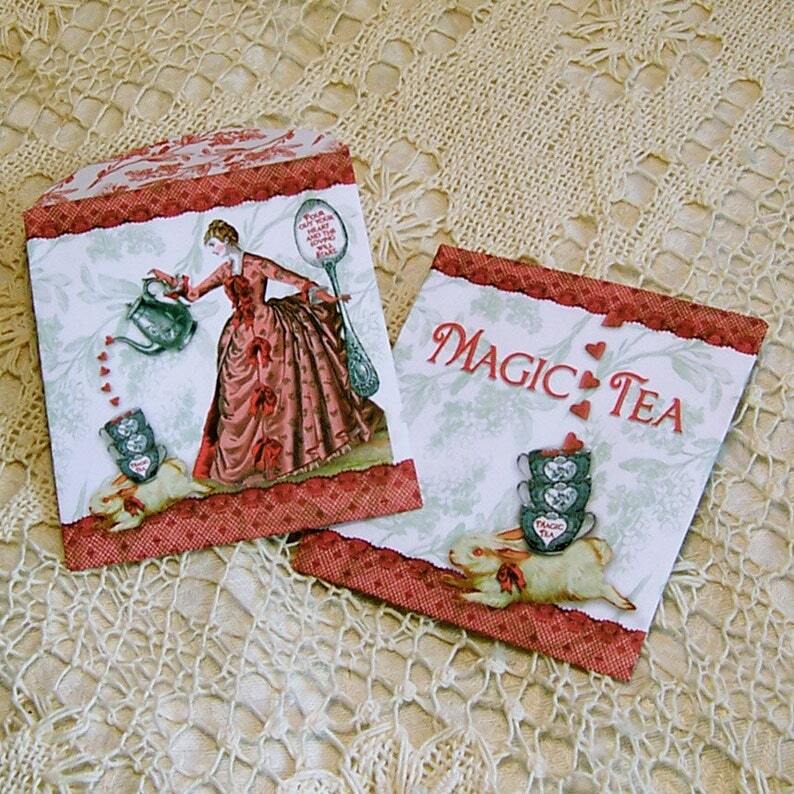 These two digital printable tea envelopes make great, fanciful tea party favors. Or, they can be used to contain tiny gifts such as jewelry or flat candies. Folded size: 2.75" x 3.25". They come on a 8.5" x 11" sheet. Simply print them out using your inkjet printer, then follow the easy directions. BUYER NOTES: Digitals are not returnable. You will receive both the jpeg and pdf versions. For PERSONAL USE ONLY. NO commercial use. Digital files and finished product must NOT be resold, shared, altered, or offered for download on the internet. This is a very nice design. But had I known or even noticed that copyright info was on the back of these envelopes I would not have bought them. I just think that it takes away from the design an overall elegance. Most products have copyright info printed on them. I chose to place it on the back. It is clearly visible in my etsy photo.